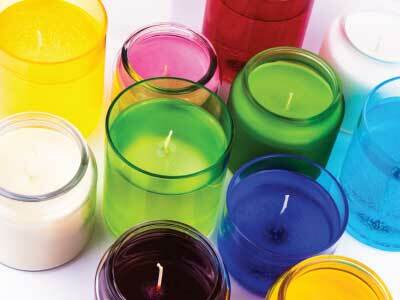 WELCOME TO THE WORLD OF CANDLES. 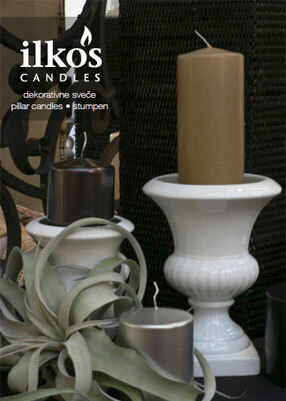 Ilkos candles – at your side wherever you are. Our passion is founded on 10 years of tradition. 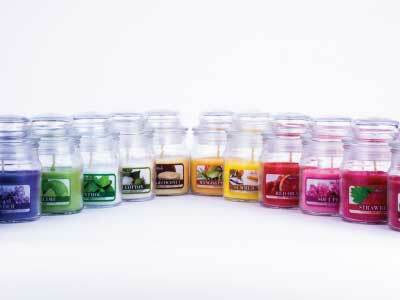 We started developing our passion 10 years ago, when we were inspired by scents, light and power that candles can create. 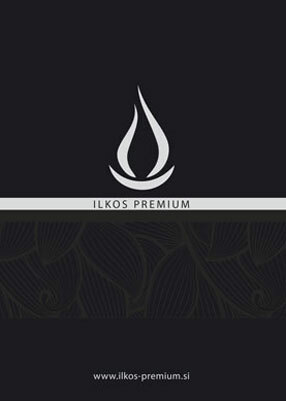 Their ability to inspire allows Ilkos, d. o. o., established in 2006, to successfully continue the tradition of the company Trgovina, svečarstvo Kostanjevec Milena, s. p.
Challenges in the domestic and foreign markets. 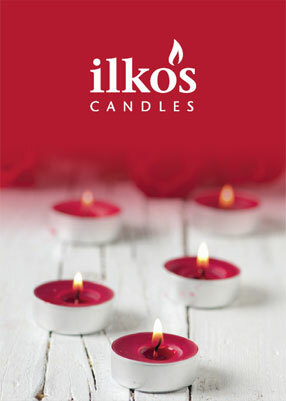 Ilkos, d. o. o., has become the number one manufacturer of candles in the Slovenian market. Supported with intensive development, the company expanded to foreign markets, while retaining its leading position at home. We build our future on constant development and countless innovation possibilities, which fascinate us. 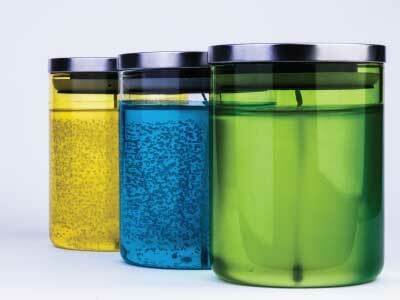 Our company complies with the relevant environmental regulations and guidelines, and eco manufacturing requirements. We minimize waste, save energy, and manage our raw materials carefully to produce most efficient results. We provide them with a healthy work environment and possibilities for further training, so they can contribute to the company development. Quality at every production step. 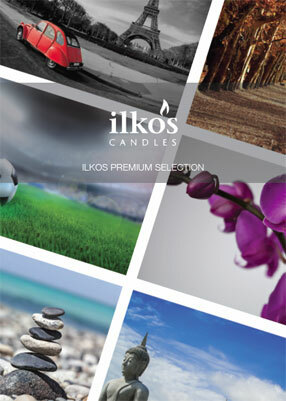 Ilkos sells a wide selection of waxes and other materials that help you enjoy our fragrances. From wax or gel to the final product. Every essence used in our company has its story. 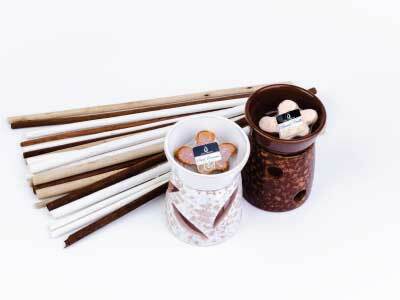 Their path starts at the local laboratory, where we test new scents and their mixes. 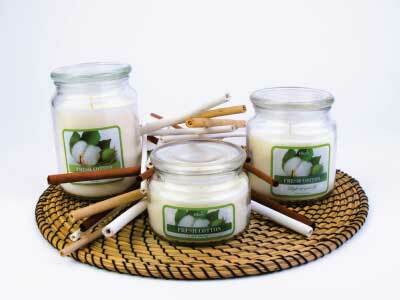 Candles are all we make. 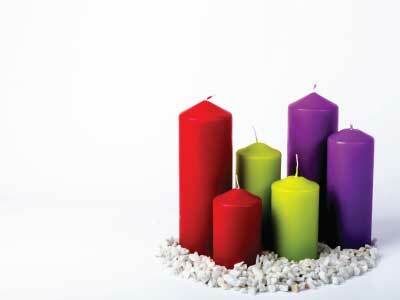 We produce several types of candles: decorative, scented and grave candles. 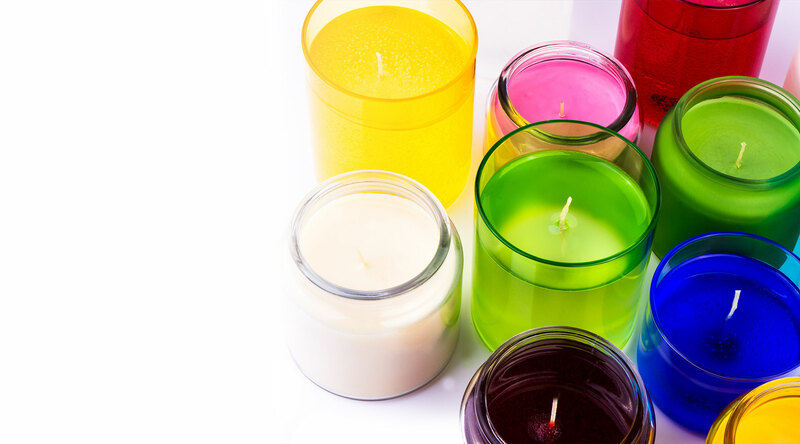 Our chandlery has its own development department and makes pressed and molded candles, which are always of high quality and come in a wide variety of shapes, colors and scents. Ilkos adheres to the ISO 9001:2000 quality standard, and continuously strives to improve the quality and acquire new international certificates. 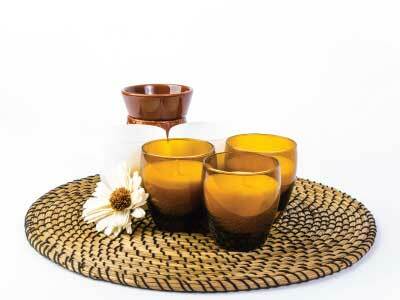 We use materials from nature, and select the best metals, wood, clay and glass, depending on the type of the candle.